Taylored Expressions September Release Now Available! Hi everyone! All of Taylored Expressions‘ new release products are now available! But before you shop, I have two more samples to share. 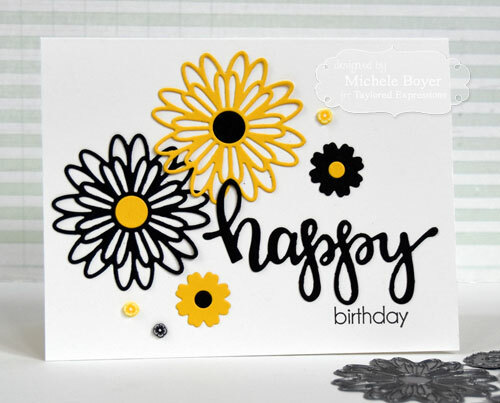 First I created a birthday card using Blooms Overlay and new Happy Script. 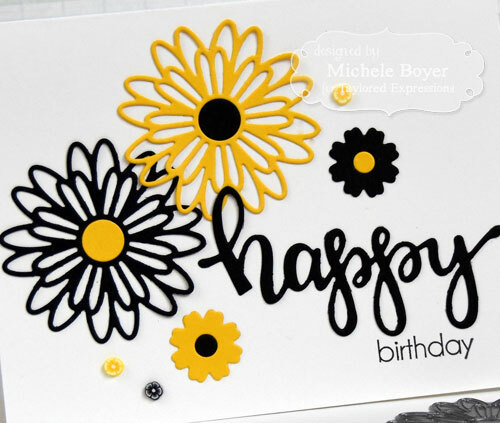 The flowers also layer perfectly over those found on new Sympathy Blooms Cutting Plate. After adhering the Happy Script die-cut and stamping “birthday” from Another Year Older, I adhered a few Posies from Queen & Company. 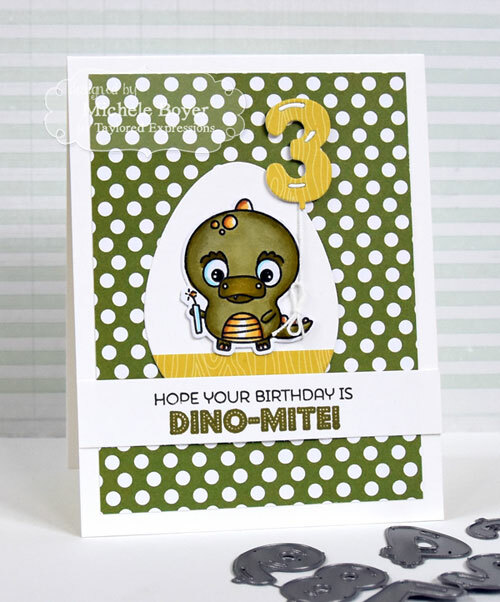 Next I created a cute dino birthday card using new Peek-a-Boo Birthday and Number Balloons. 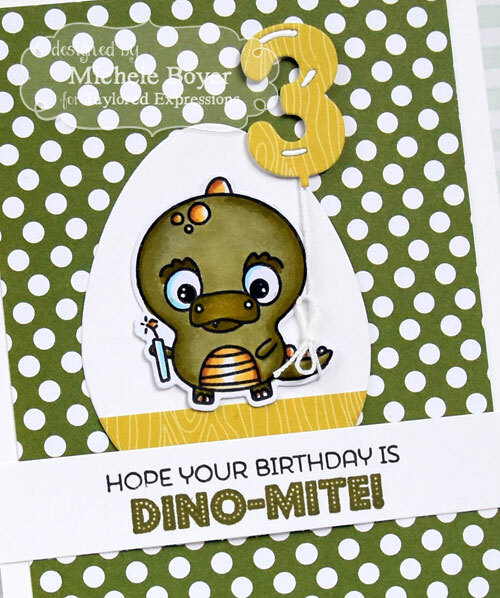 I centered the dino within an Egg Stacklet then tied a Number Balloon to his tail.